Flying out of Broome over the magnificent Kimberley landscape, you’ll land in the Mitchell Plateau where our helicopter will then transfer you past the Mitchell Falls and onto your luxury vessel. Your crew will welcome you aboard and provide a light brunch before we set off for the Hunter River, an incredibly scenic waterway rich with fat barramundi, succulent mud crabs and castaway island beaches. We can either stay here and have a fire on the beach for sunset drinks or cruise over to historic Careening Bay. After visiting the Mermaid tree, we’ll cruise down through Saint George’s Basin to the mouth of the Prince Regent River and the infamous Kings Cascade. This is a stunning cruise that passes both Mount Trafalgar and Mount Waterloo. With luck, the tide will allow us the chance to drop a line for a spot of fishing. If not, we’ll cruise straight up to Kings Cascade where everyone will want to explore the amazing natural gardens, as well as the multitude of freshwater pools and falls. Your vessel will then depart for Camp Creek. We’ll spend the morning fishing, or croc-spotting and generally exploring. After lunch, we’ll head down Camp Creek for a trek to a beautiful waterfall and swimming hole. Upon returning to the boat, we’ll cruise towards Camden Harbour where we’ll anchor up for the evening. Camden Harbour is steeped in history as the first attempted European settlement in the Kimberley. It failed dismally, and we’ll delve into that history as we explore the old settlement. 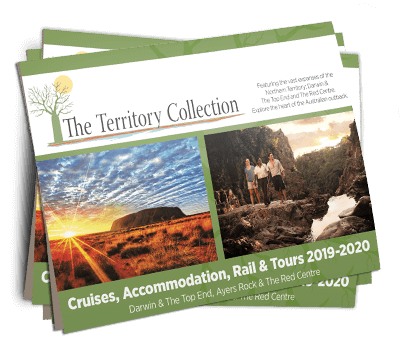 Tide permitting, we’ll gather a sumptuous feast of Kimberley rock oysters and then cruise through Kuri Bay – the Kimberley’s first pearling settlement. We can then try our hand hunting for reef fish before spending the afternoon cruising down the coast to Langii, an Aboriginal Dreaming site. Here we’ll see the mystical ‘Petrified Warriors’ and spend time relaxing on the silicon beach, while the evening will be spent cruising to Doubtful Bay. We’ll spend the next two days exploring waterfalls and fishing in such places such as the Sale River and Three Ways, with one evening spent under the magnificent Raft Point. Raising the anchor early, we’ll then take a quick cruise to Montgomery Reef, an unusual reef structure that creates spectacular cascading waterfalls in the middle of the ocean. This reef is also home to turtles, crocodiles and all kinds of aquatic life, which we’ll search for in the dinghies. Finally, we’ll spend the late afternoon cruising into Dugong Bay where we’ll anchor for the evening. We’ll start the morning with a scenic walk through a rainforest canopy trail to a stunning hidden rock pool for a refreshing dip. Here you’ll also have the opportunity to see the Horizontal Falls from the air or via tender if the tides are right. Back on the boat, we’ll cruise toward the Buccaneer Archipelago where we can stop over at Crocodile Creek for a swim and a barbeque lunch. In the afternoon we’ll cruise past Cape Leveque on our way back to Broome. After cruising all night, we’ll arrive at the Broome Jetty to disembark around 8:00am. Our friendly office staff will then organise a transfer to either your accommodation or the airport.